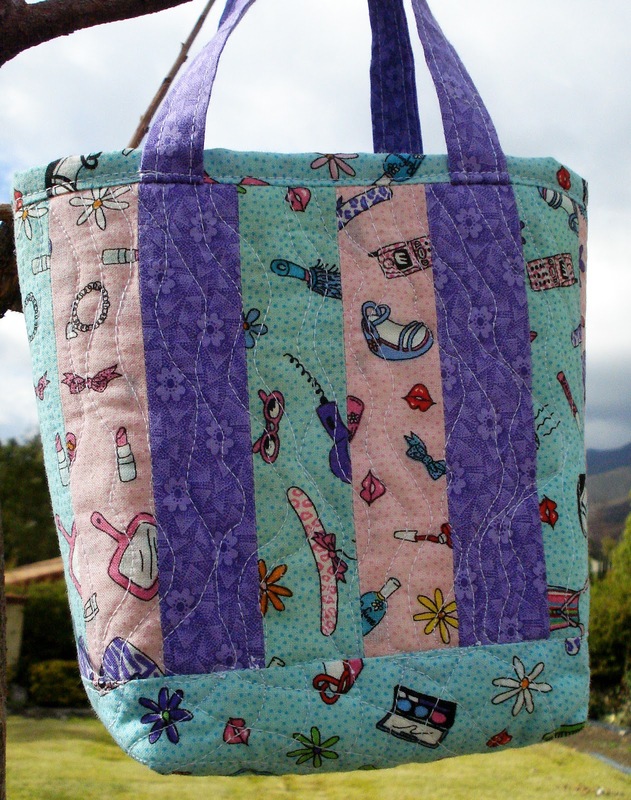 The friendship tote is about 5 inches across and about 6 inches tall. Tutorial found at ps i quilt. See the one I modified to fit my fabric here. I did a bit of Matrix on the bottom and flowing lines on the body of the bag. I'm linking up with Leah Day at the Free Motion Quilting Project. I love her designs and when I am stuck I peruse her site until inspiration hits me!! That is a great bag. Might check out that tutorial myself as I am pretty much a novice on bags. Also like the Matrix pattern on the bottom...that is a great idea. 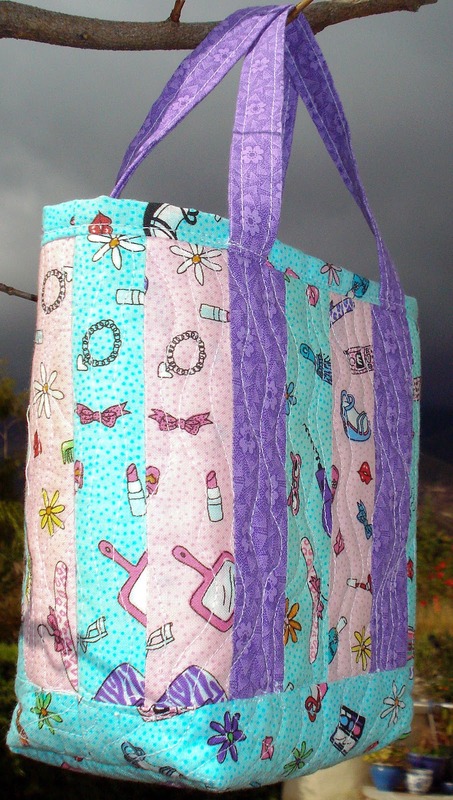 Thanks for nice comments, I too am new at making bags and this was really easy to follow.